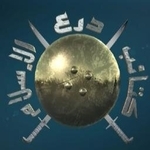 A Salafist group whose origins date back to the Iraq war, the Mujahideen Army became a more noticeable brand with the renewal of the wider Sunni insurgency in Iraq at the start of 2014. Active in areas such as al-Karma (Anbar province) and Diyala provinces, the Mujahideen Army has been at odds ideologically with the Islamic State in having a more nationalist outlook even as it has aspired to overthrow the central government. In summer 2014 rumors emerged of the Mujahideen Army distributing pamphlets in Diyala province with refusal to pledge allegiance to the Islamic State. Ideologically, however, the group shares the Islamic State's anti-Shi'ism. Like other non-Islamic State Sunni insurgent groups in Iraq, it was eventually marginalized at the hands of the Islamic State. In the wake of clashes in al-Karma in August 2014, Jaysh al-Mujahideen was forced to withdraw from the main town.